This flower count and colour worksheet gets your child to practise maths and art skills, all while focusing on the spring season. Children will read the directions, and colour flowers according to their position in the lineup. Challenge your child to decode the flowers' colors! 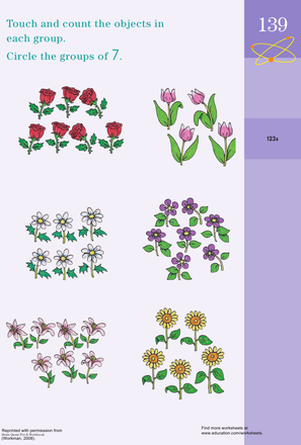 Try our flower count and colour worksheet with your child this spring. This flower-filled maths worksheet provides great counting practise for your preschooler. Can your little flower count up the number of blossoms in this picture maths equation? Help her use her counting skills to solve the problem. To complete this exercise your child will need to count how many of each type of flower there is, and then circle the groups that have 7 in them. 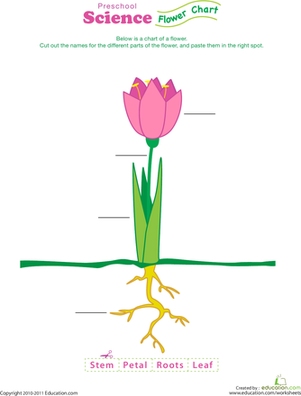 How much does your preschooler know about the parts of a flower? This colorful worksheet tests her flower knowledge! Count and classify animals by their habitats and abilities. Help your child work on sorting skills with this count and classify animals worksheet. Your shoe-obsessed child will learn how to count and classify his shoes in this worksheet. Count and classify with your child using these exercises. Your child will use his powers of deduction to count and classify the furniture in this worksheet. Count and classify the furniture pictured with your child. This rain count worksheet encourages your child to count on rainy days. Find your raincloud's silver lining with this rain count worksheet. 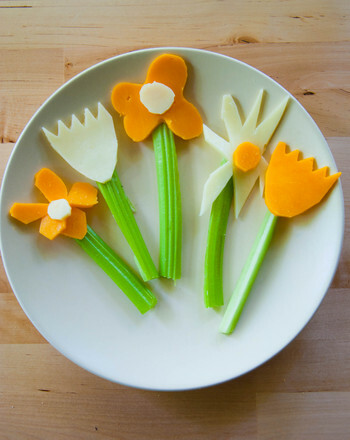 Give snack time a fresh floral touch with this flower-shaped garden snack, perfect for tea parties with your preschooler! Too many acorns to count! Well, maybe for a squirrel, but not for your whiz of a preschooler. Count the acorns for this squirrel, then colour him in. 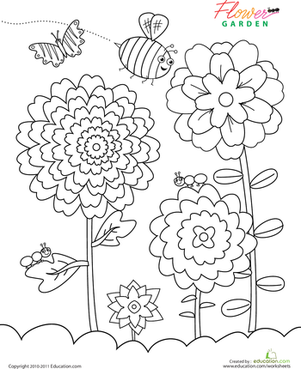 This flower garden coloring page is packed with cute crawlies: fluttering butterflies, buzzing bees, and tiny creeping caterpillars.